Between 4 and 7 December 2012 in Bucharest was held the international festival "Tarkovsky in 2012", dedicated to the celebration of 80 years from the birth of the great film-maker. The program of the international event, held in the framework of "The Days of Russian Culture in Romania", was rich and complex: evenings of feature and documentary films, presented for the first time in Romania - the original versions of "Andrei Rublev" (called "The Passion According to Andrei") and of "Solaris", released for the first time in 2012 in Russia and generously provided by Russian Gosfilmfond, new documentaries by Sergei Karpukhin ("The Mistery of Andrey Rublev") and Evgeny Borzov ("The Magnetism of Memory" and "Andrei Tarkovsky. 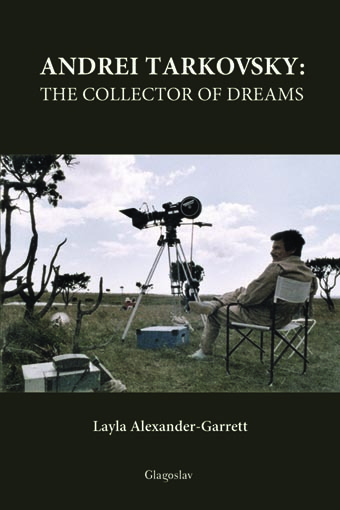 The Collector of Dreams"), a photo exhibition, an international symposium, a roundtable, presentations of books in Romanian and English dedicated to Andrey Tarkovsky, meetings with specialists on Tarkovsky from Russia and the UK. 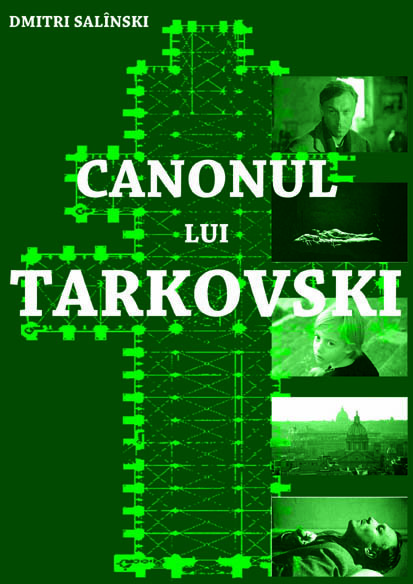 The main organizers of Tarkovsky Days in Bucharest were the Russian Embassy in Romania, the Ministry of Culture of Romania and Cultural Association "Orante". The guests of the Bucharest event were the writer Marina Arsenievna Tarkovskaya (the sister of the great film-maker), the film-director Alexander Gordon, Professor Dmitry Salynski (whose book "The Tarkovsky Canon" has just been translated and published in Romania) and Layla Alexander-Garrett, author of the photo-exhibition "Tarkovsky in Sweden" and of some memorial books about Andrey Tarkovsky. The general tone that animated the Bucharest Tarkovsky Days was enthusiasm and excitement - both of the audience, of the press, the international guests, organizers, partners and volunteers involved in the project. 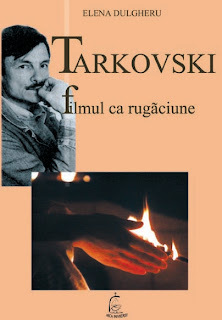 Endless queues for interviews, sold-out screenings at the Buharest "Eforie" Cinemateque, animated discussions during the symposium and the round table, which unformally continued after the end of the program, and a great interest for the released books ( "The Tarkovsky Canon" by Dmitri Salynsky, "Tarkovsky. 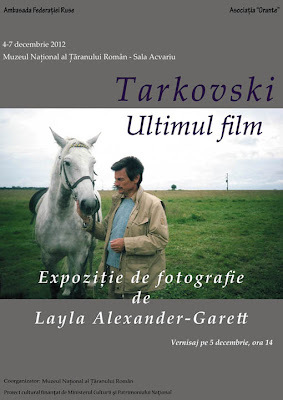 Film as Prayer" and "The Ladder of Paradise in Cinema: Kusturica, Tarkovsky, Parajanov" by Elena Dulgheru and "Andrei Tarkovsky: A Photographic Chronicle of the Making of The Sacrifice" by Layla Alexander-Garrett) proved the steady interest for the personality and work of Andrei Tarkovsky in Romania. 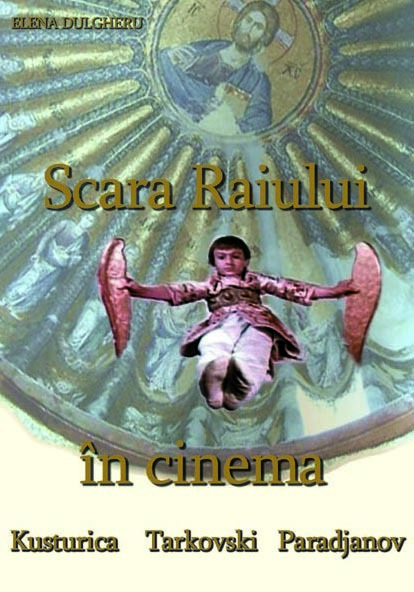 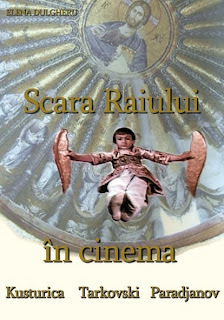 The events were held at the National Museum of the Romanian Peasant and at Romanian Cinematheque. 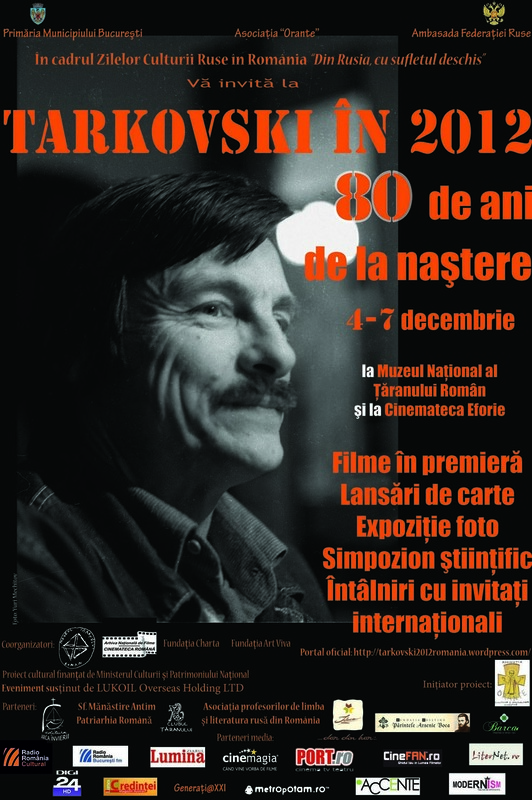 The official site of the event: http://tarkovski2012romania.wordpress.com/.